Contents. List of Contributors. Preface (R.S. Verma). Diagnosis of Human Genetic Diseases Using Recombinant DNA Techniques: An Overview (J. Schmidtke and D.N. Cooper). Mitochondrial DNA and Disease (S.R. Hammans and A.E. Harding). The Cystic Fibrosis Gene (M. Wagner and J. Reiss). Marfan Syndrome: Molecular Biology (B. Lee, M. Godfrey, P. Tsipouras, and F. Ramirez). Marfan Syndrome: Molecular Pathogenesis (K. Kainulainen and L. Peltonen). Molecular Genetics of Fragile X Syndrome (G.R. Sutherland and R.I. Richards). Molecular Genetics of Huntington Disease (C. Pritchard, N. Zhu, D.R. Cox, and R.M. Myers). Gene for Von Recklinghausen Neurofibromatosis Type 1 (D.M. Jadayel). Molecular Biology of Duchenne and Becker Muscular Dystrophies (J. Chelly and J.C. Kaplan). Molecular Genetics of Thalassemia (J.E. Russell and S.A. Liebhaber). Applications of Molecular Genetics for Identity (Z.G. Loewy and H.J. Baum). Current Status and Future Directions in Human Gene Therapy (P. Tolstoshev). Prelude to Reverse Genetics (R.S. Verma). Index. The technical advances in molecular biology have endowed us with a wealth of knowledge, which has allowed us to identify the cause of diseases not only at a single gene level but at a greater magnitude, where a substitution or deletion of a single base pair can be identified. Our present task is to establish a clear link between phenotype and nucleotide sequence. Obviously, a gene is no longer an imaginary entity. Recent discoveries in a number of bewildering traits, whose inheritance do not follow simple mendelian rules, have caused much amazement. For example, fragile X-syndrome, spine and bulbar muscular atrophy and myotic dystrophy arise from "triples repeat mutation" and amplification in future generations. Genetic diseases which are inherited, can now be diagnosed prenatally; an idea that was once inconceivable. 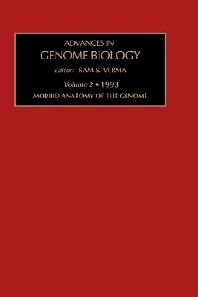 The aim of the second volume, entitled Morbid Anatomy of the Genome, is to reflect on the importance of molecular genetics in modern medicine. The field has expanded so as to warrant a volume dedicated exclusively toward understanding those who wish to know the cause, detection and in turn treatment of such diseases. In this volume, I have commissioned several scientists to contribute 12 chapters. A chapter describing a special role of molecular genetics in combating genetic diseases through gene therapy has also been included, while chapter 13 is a commentary. A complete account of all diseases whose genetic basis is well established would be a herculean task and is not within the scope of a single volume format. Therefore a few specific topics have been chosen which may be of the greatest interest to scientists and clinicians. The purpose of this issue is to keep abreast of the latest developments in a select group of genetic diseases.